SOAS College boys did not attend the event but Skipper Zack had a special invitation. 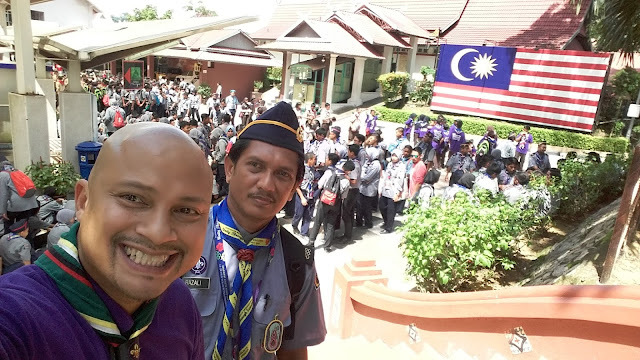 The event was held in KUALA LUMPUR. 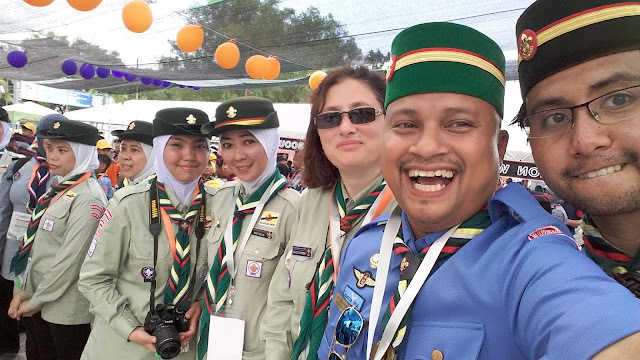 The 13th Malaysia Scouts Jamboree at the Batu Metropolitan Park was a gathering of some 7,000 scouts, including 1,200 from abroad. 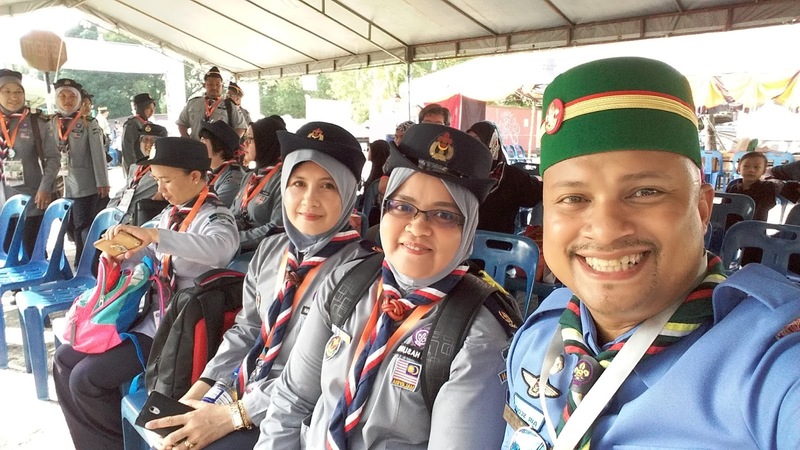 Chief Scout of Malaysia Tan Sri Dr Shafie Mohd Salleh officiated the event. New activities were urban challenge oriented and interspersed with scouting skills, sports, community service and cultural activities.The jamboree was themed ‘Unity Through Scouting’. 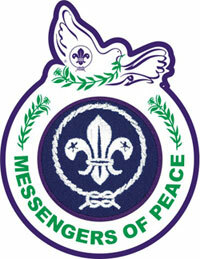 The objective was to foster the spirit of brotherhood and love for harmony in the multi-racial society in the country. 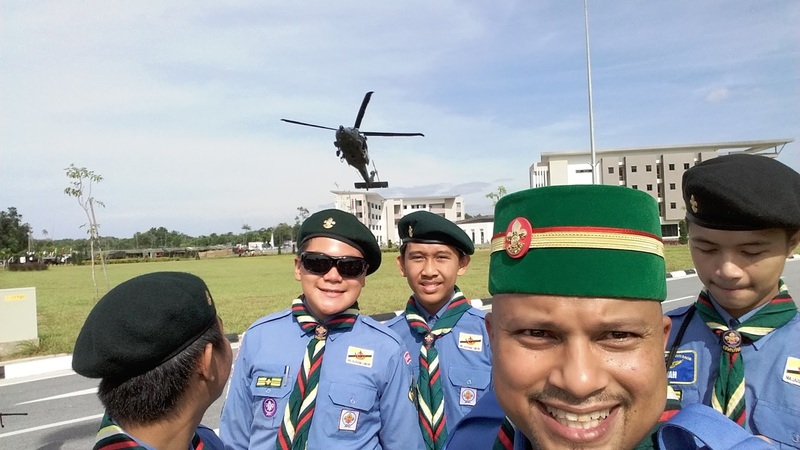 During the auspicious gathering Skipper Zack was awarded the Scout Leader Wing for achieving all the requirements for teaching and leading scouts in aviation interests. 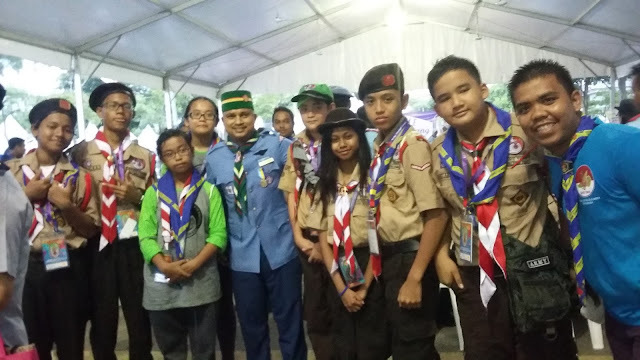 He was also awarded Silver Wing Medal by the Chief Scout of Malaysia Tan Sri Dr Shafie Mohd Salleh. Anyway it was a great opportunity to meet up with old friends and make mew ones. 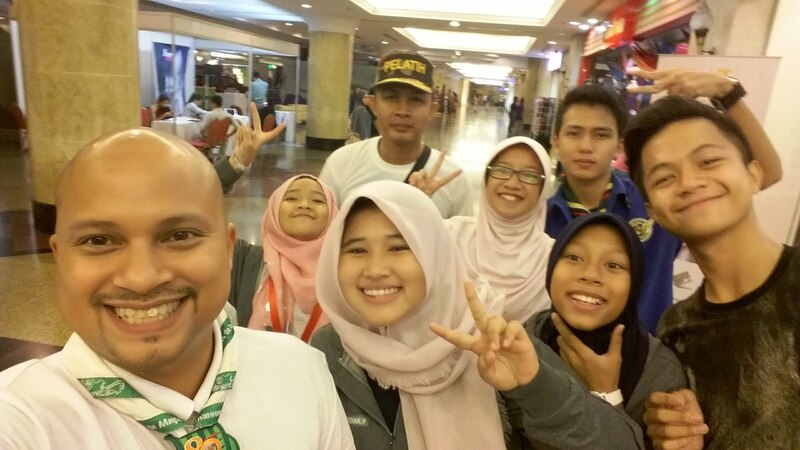 one of the enjoyable activities was city tour. Well were in the great Kuala Lumpur. 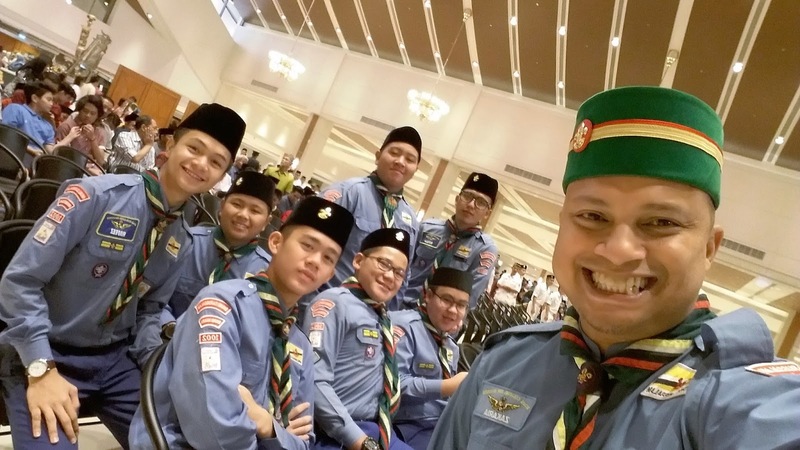 Brunei Joti Team consisting of Commissioner of Communications, Media and IT and some IT savvy Rovers. 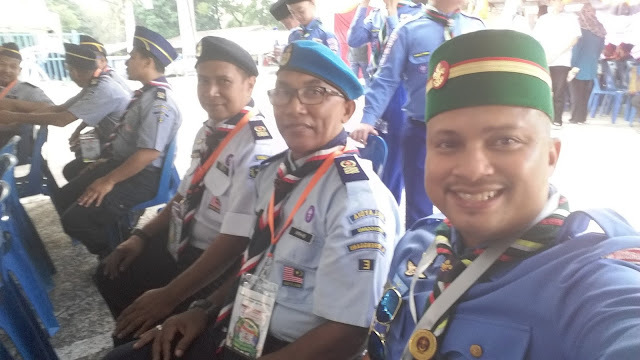 Skipper Haji Ismail the Deputy Chief Commissioner was the chief guest, flanked by Skipper Haji Badar, our Chief Commissioner who attended just for a short while. 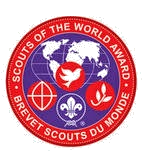 Its that time again for all scouts in the world make new friends or get in touch with old ones via radio or internet. Yes its JOTA JOTI again! 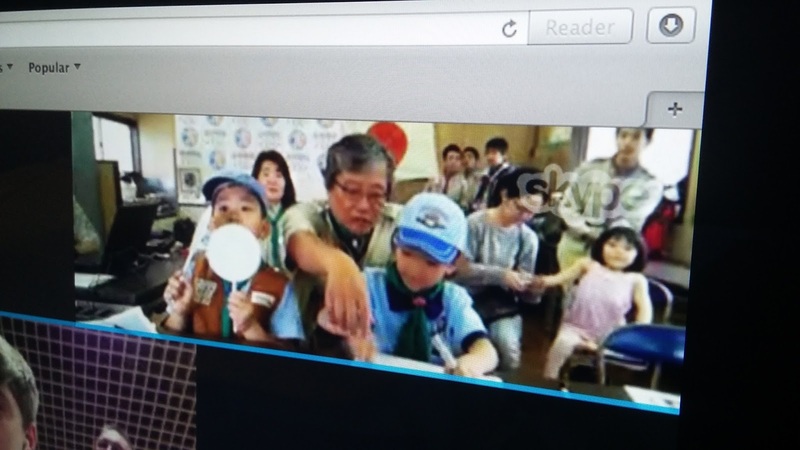 This year our troop join up with with other troop in our national headquarters and set up stations for internet calls. Time have change when we used IRC and MSN. Now its Skype and Whatsapp. This year JOTAJOTI Brunei was launched by the Deputy Chief Commissioner, Skipper Haji Ismail. 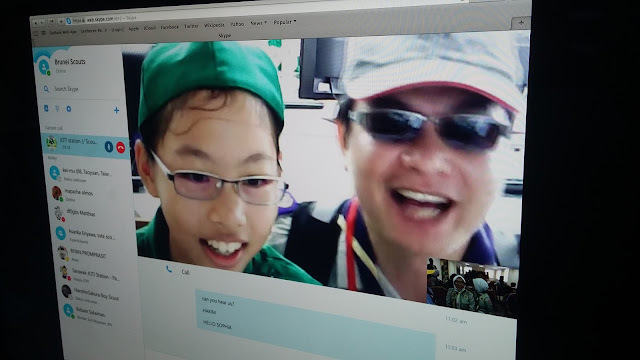 Hello from Hong Kong Scouts! 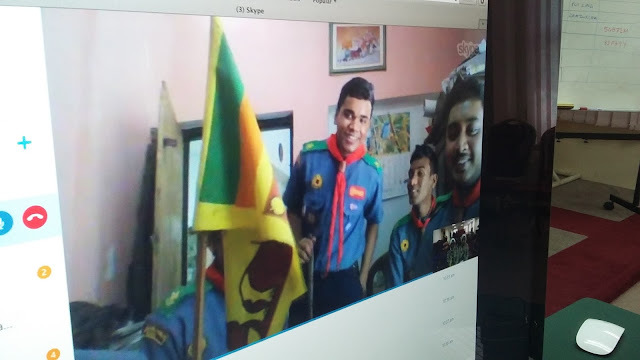 Hello from Sri Lanka Scouts! 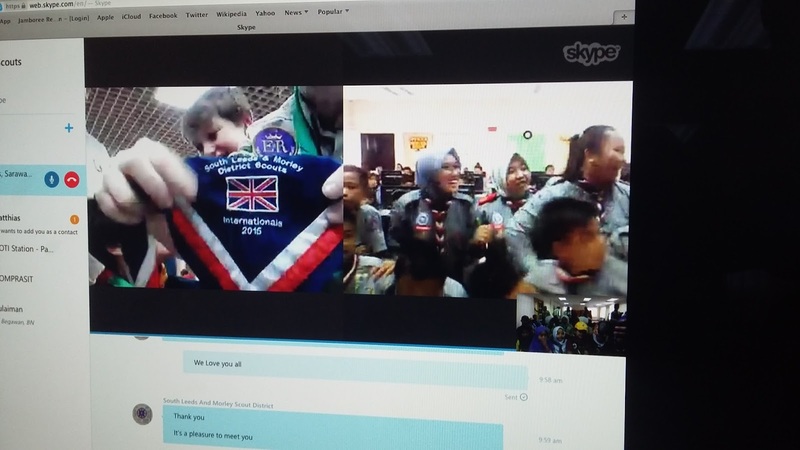 United Kingdom and Malaysia at the same time! How awesome! Its always challenging to host such an event during exam season. Yes many students cannot make it due to on-going exams. Only some did with support of the parents. Anyway those who did, had endless fun talking to scouts from USA, Sri Lanka, Malaysia, Philippines, South Korea, Hongkong and United Kingdom! It was just for one day but next year we will make a bigger one. Be Prepared! 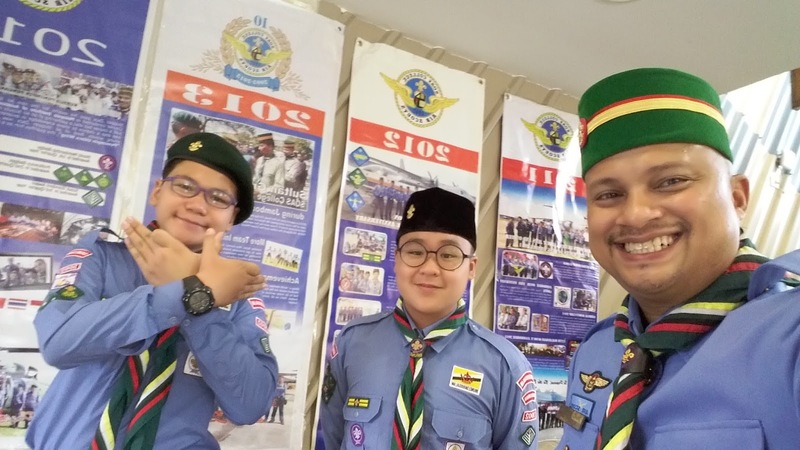 Air Scout Partol Leaders who will be exhibiting and explaining the banners of Air Scouting in Brunei! For the first time Sultan Omar Ali Saifuddien College Air Scout (SOAS Air Scout) has been invited to do an exhibition at Royal Air Force Base. 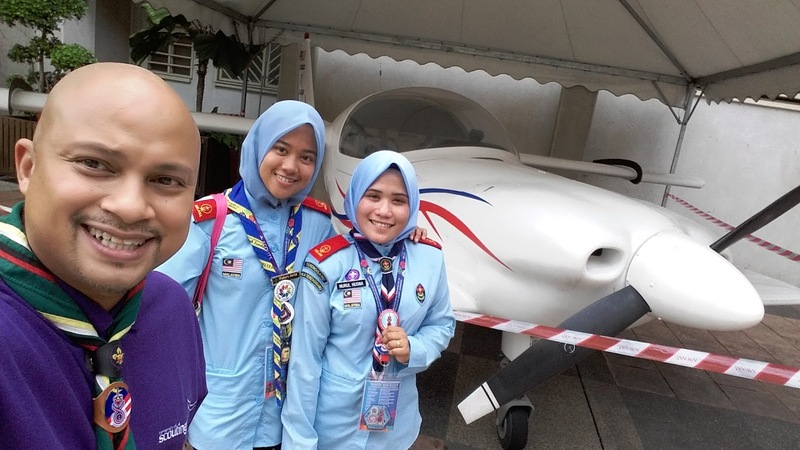 It was sanction by Brunei Scout Association and represented as a youth development through aviation interests. 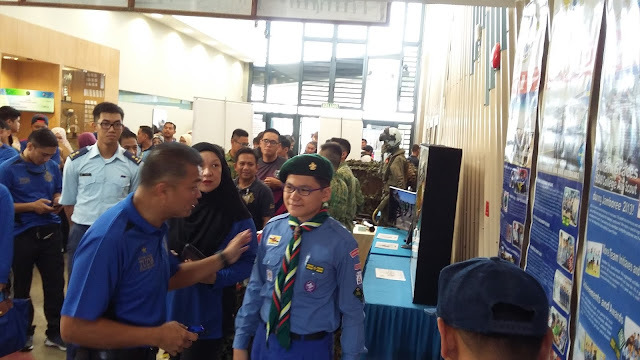 The was mainly to commemorate 50 years of Air Force in Negara Brunei Darussalam with air shows, static displays and family activities. The guest of honor was Brigadier General (U) Dato Seri Pahlawan Shahril Anwar bin Haji Ma’awiah is the Commander of Royal Brunei Air Force. 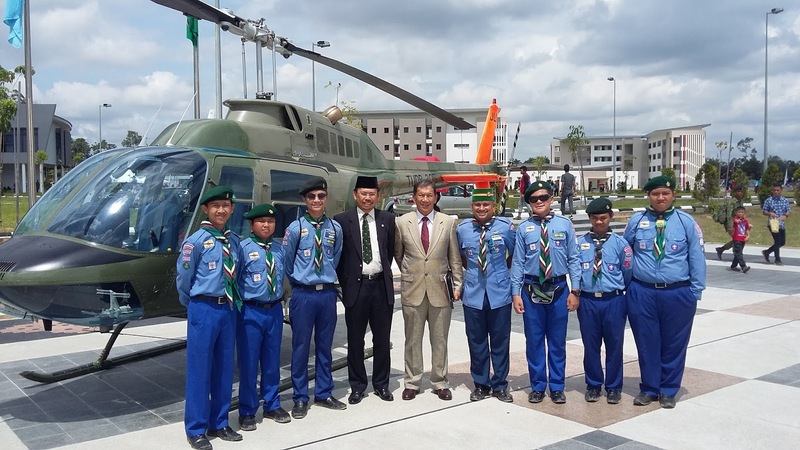 The Commander also express special interests in young Bruneians who are interested in Aviation. The Air Force General takes special interest in young Bruneians who takes an interest in Aviation at an early age. 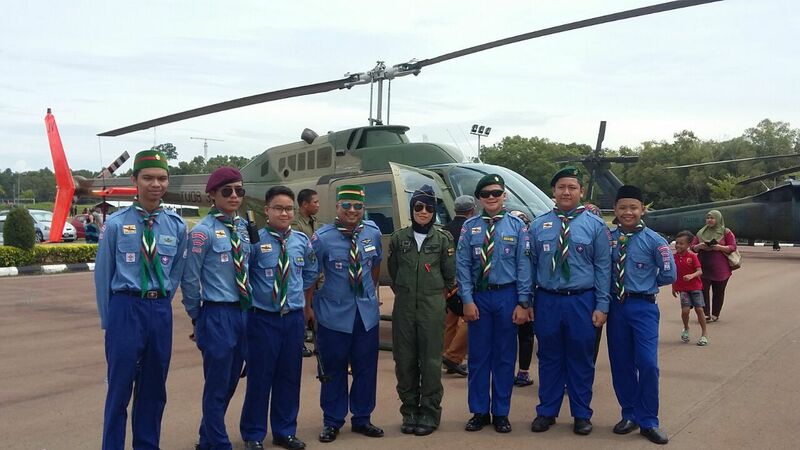 Air Scouts with Captain Dayangku Nur Azriana Pengiran Hassanan, the first Bruneian Women Air Force pilot. Now her other car is a Blackhawk helicopter. Wow search and rescue stuff. We do have to learn some survival skills in the Air Force. "Yes, I did something for the world!". These are the words from our young people on Sunday 18th September 2016. Its not just us, its all over the world. 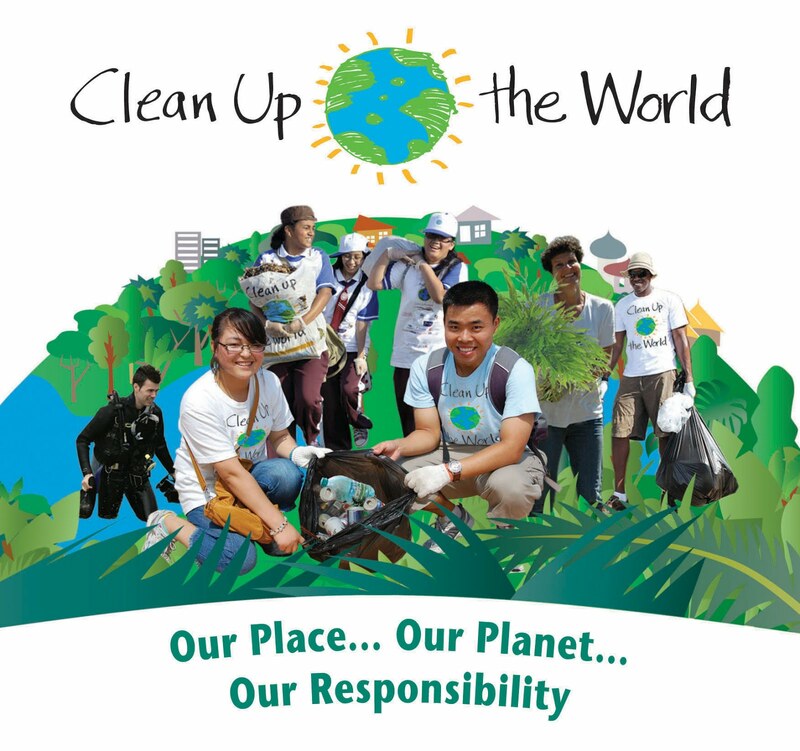 Because its the "World Cleanup Day! Its the day when everyone and anyone did a project to do cleanup and post them on the website. 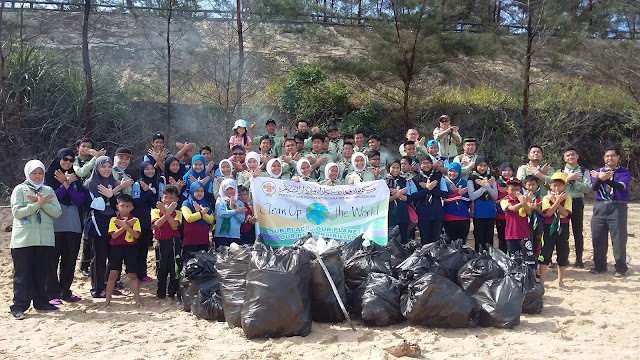 Our scouts are also involved in these event and we did a cleanup project in Berakas Beach. Its one of the beaches that always needs cleanup. Debris and garbage are left just like that without anyone stopping it of cleaning it up. It was jus one day and we gathered more than 20 bags of garbage. It was the hardwork of young people aged 8 and above. Congratulations all!. Every 3rd Day of the festive Hari Raya or Eid, scouts from all over the country visit the Royal Family at the Sultans' Palace. Scout members rise early and queue for hours just to get places in one of the largest palaces in the world. This is a chance to see and shake the hands of their beloved king. 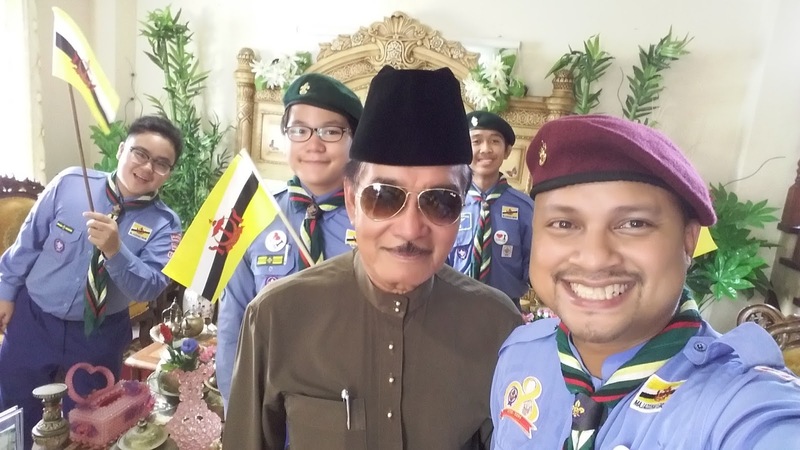 The Sultan is also the Royal Patron of Brunei Scouts Association. 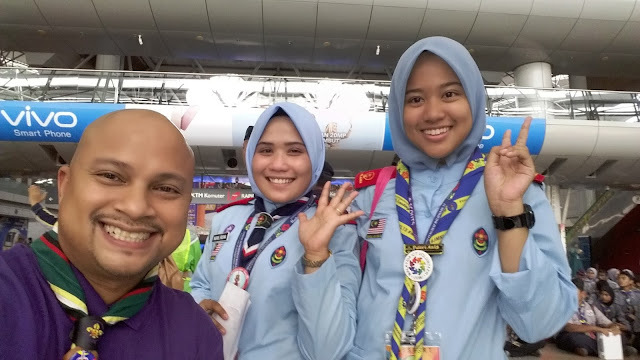 It was also a time where we meet other scout members we have not seen for a long time. Hari Raya is about visiting and meeting fellow Muslims and for us its other scouts. It was magical to meet long time friends and meet new ones and have great food in the Sultans' Palace. 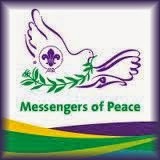 Our troop wishes and scouts and Muslims around the world, Eid Mubarak!. The Brunei Scout Association was first formed on the 1st July 1933. That is why every year there is an event to mark the occasion. This year 1st July is in the Holy month of Ramadhan. 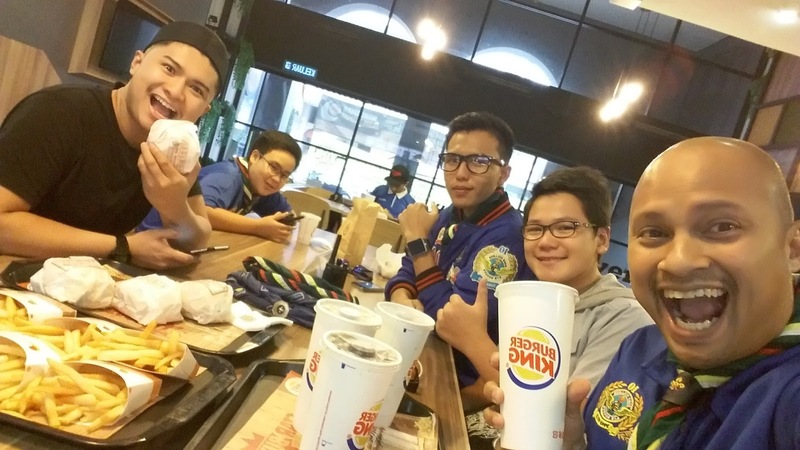 This year the troop decided to commemorate by doing something cool for a change, which was Iftar in Burger King. It was also to celebrate one of the members birthday which falls on the 2nd. July. All these and the special offers Burger King was offering. Its all the more reason to celebrate! 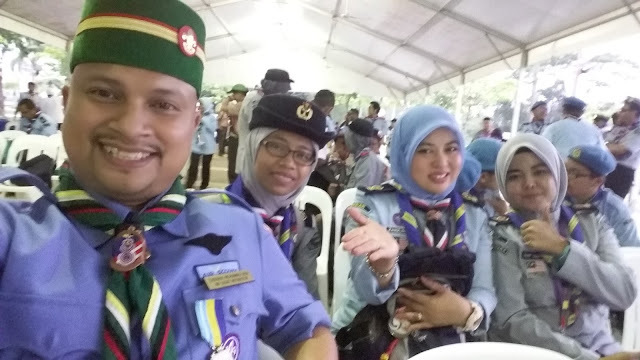 "Selamat Hari Pengakap dan Selamat Menyambut Bulan Syawal yang menjelang". 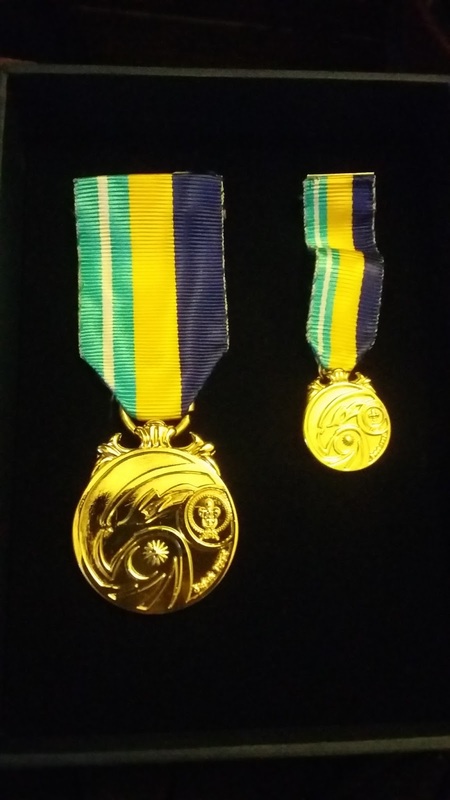 Every 31st May marks the anniversary of Royal Brunei Arm Forces. This year they are celebrating it 55 year of defense and nation building. 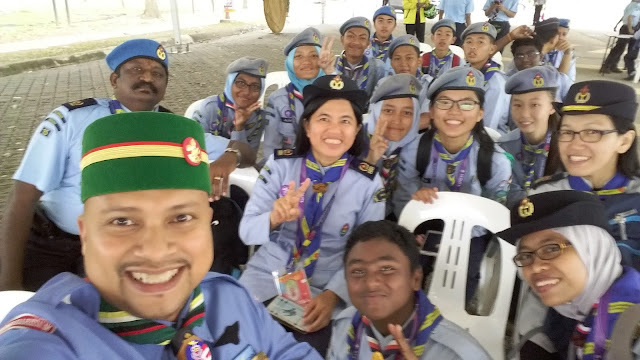 Like the years before SOAS College Air Scout Troop takes this opportunity to visit aircraft and talk to pilots and RBAF personnel. In the past a few troop members have become pilots and aircraft technicians. 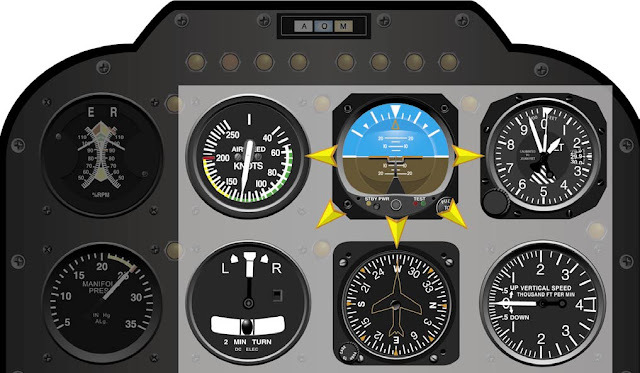 Young air scouts should be talking about actually being an aircraft, learning why it is shaped like that, learning controls and asking about instrumentation. Because the country needs young generation to replace the existing pilots and engineers. A great surprise was meeting with two legends of the Air Force. Col. (R) Hamid Nayan and Col. (R) Rashid. 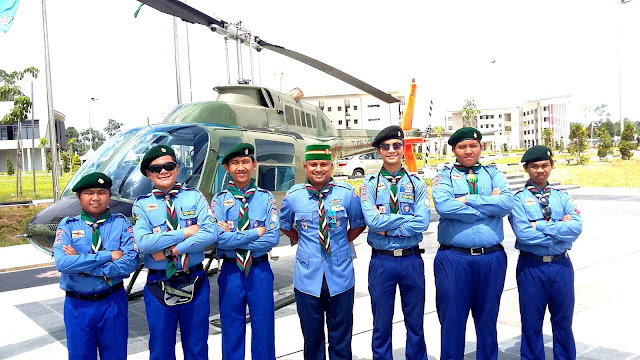 They were the ones who actually flew the Bell Jet Ranger Helicopter (seen behind) since 1976. It was used as a trainer aircraft and still in use today. Col. (R) Hamid was also one of the first Sikorsky Blackhawk pilots and both became Deputy Commanders of the Air Force before retirement. The beach is great place to learn jungle and water elements. 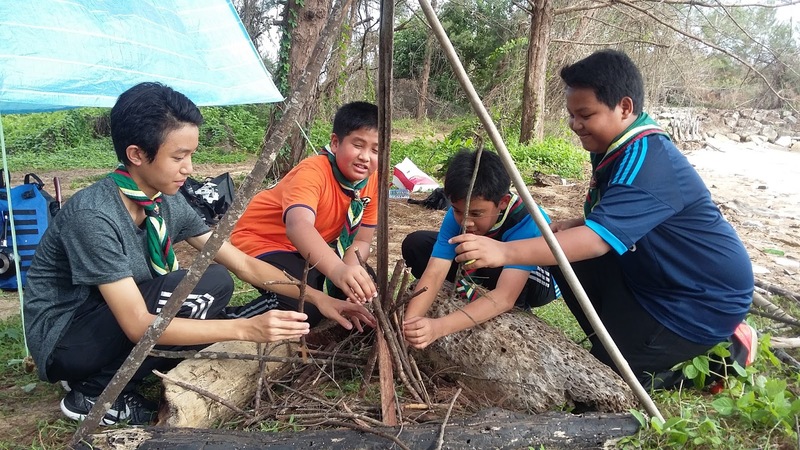 The scouts learn how to make a campfire properly, pitch own tent, making gadgets and have fun. Most members now can survive buy making their own rice and canned foods. They can also make boiling water that can be rationed for longer stay in the jungle. Best of all its the swimming. Identifying danger areas and rip curls. 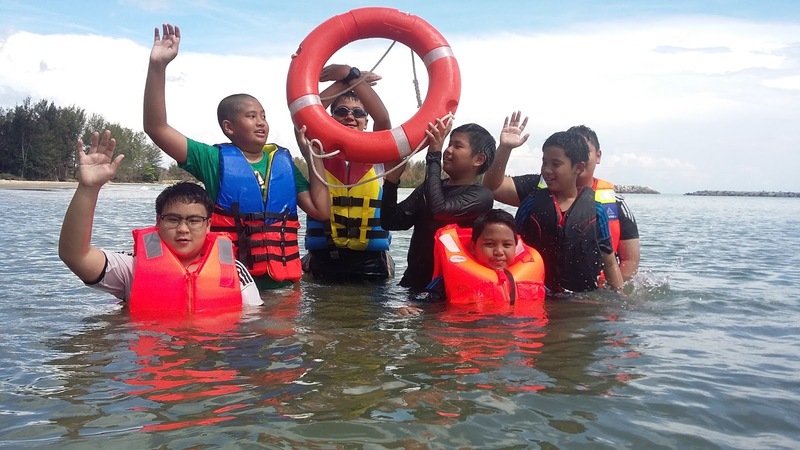 The use of life jacket and life savers. They also learn to do knots on water which was new to most. 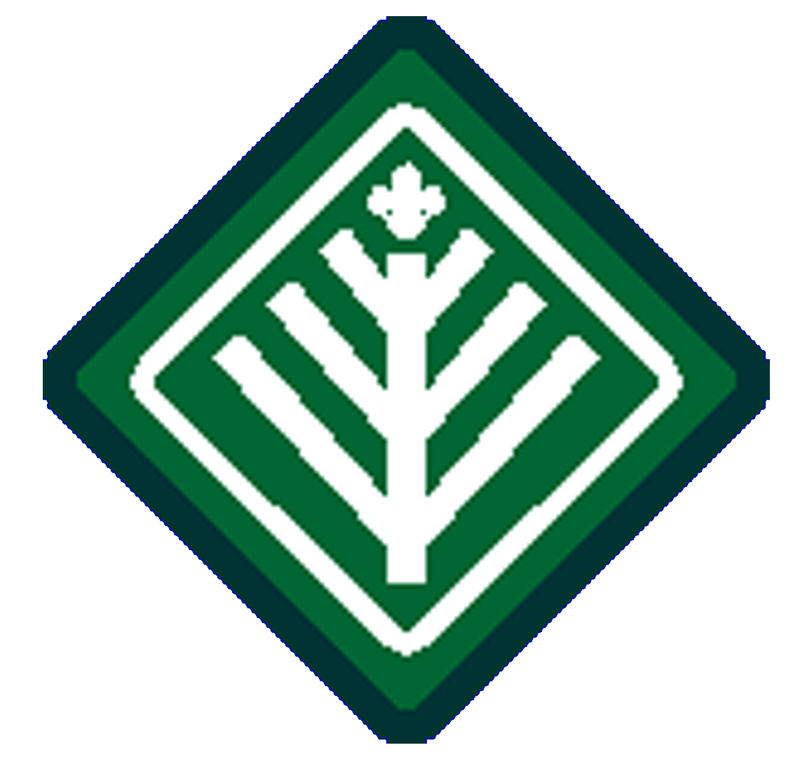 This month is all about outdoors before next month will be filled with indoor and religious activities. 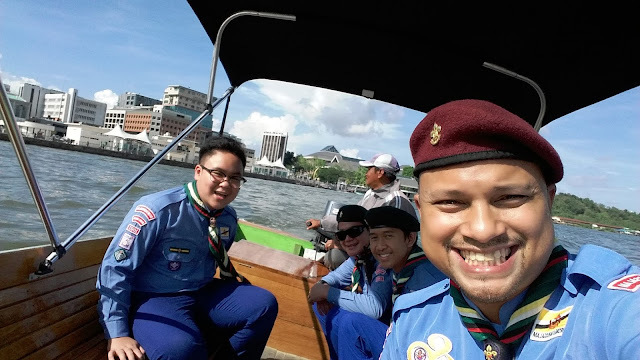 Its starts with an exciting boat ride on the Brunei River. Its fast and only took us a few minutes across. Its also cheap! 50 cents per person. The museum is open on Sundays and open to public. Anyone can come. No pictures were allowed inside so we do not have any pictorial record. Anyway the visit was about knowing How Brunei was made back in the early centuries. Alot was done on the Brunei River actually. The first settlements, the government, the trading with ancient civilizations and up to the modern day Brunei we see today. Would love to story but its best to visit. The bonus of the visit is to see the Head Villager. He was about to leave for a wedding but happy to give us 10 minutes to show us around his home stay. Anyway it was great to meet him. 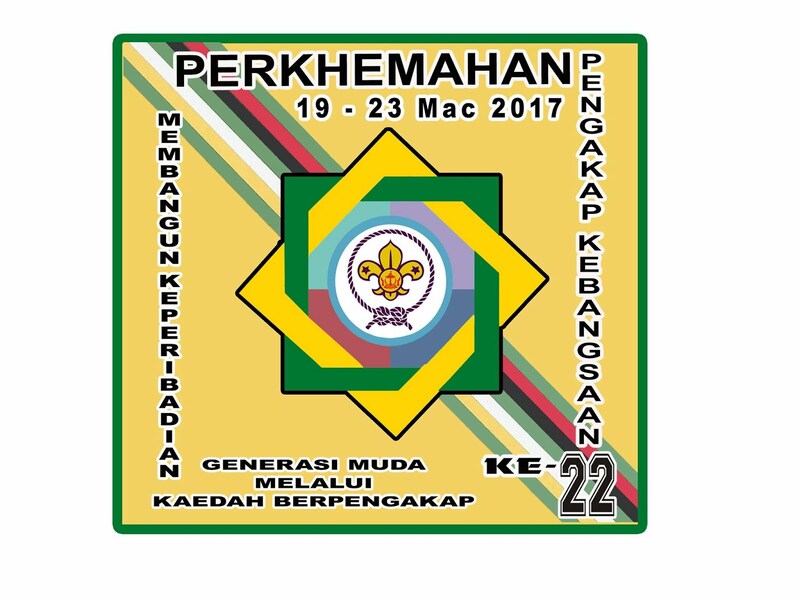 Off to the next weekend for more activities. 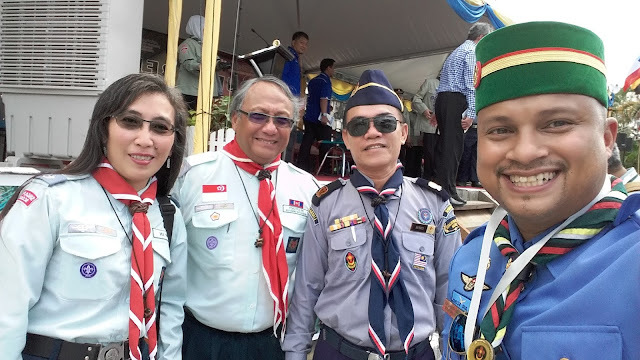 In conjunction with the 32nd National Day celebrations, the Brunei Darussalam Scouts Association (PPNBD) held a national flag hoisting ceremony at its headquarters in Gadong. Two hundred members including scout commissioners, scout officers, scout leaders, assistant scout leaders, cub scouts, junior scouts, venture scouts, sea scouts, air scouts and rover scouts took part in the patriotic event. 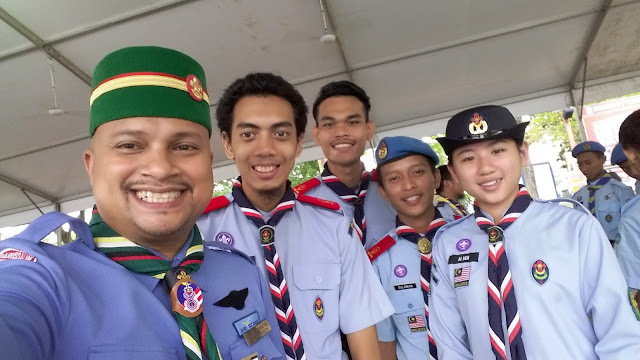 SOAS College Air Scout troop were also present along with fresh new members, to instill patriotism through the scouting spirit. Present were PPNBD Chief Commissioner Haji Badar bin Haji Ali and Deputy Chief Commissioner of PPNBD Haji Ismail bin Pehin Orang Kaya Ratna Setia Dato Setia Haji A Hapidz. January is usually the month for student registrations and settling in to things. 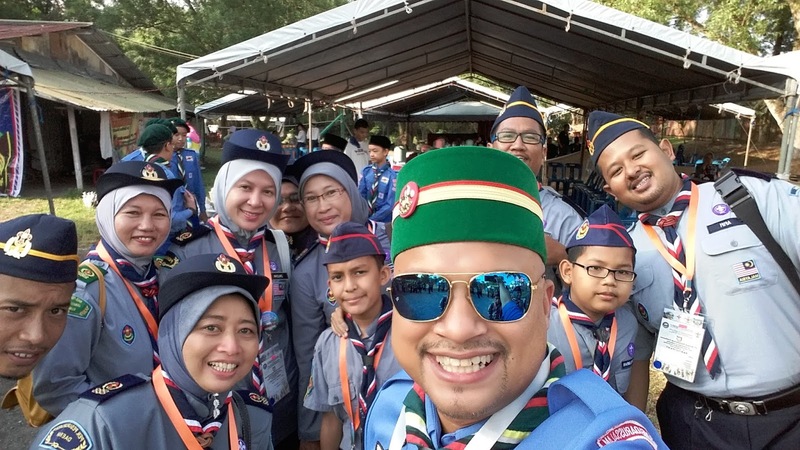 February is the month for starting back scout activities. 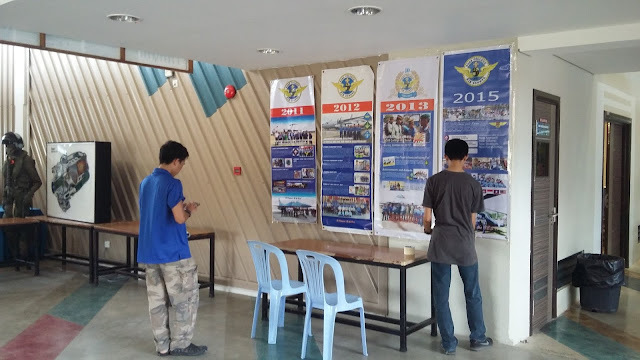 The month begins with AIR SCOUT WEEK where achievements of past years are displayed and showcasing activities. Its also the time for new members sign up. 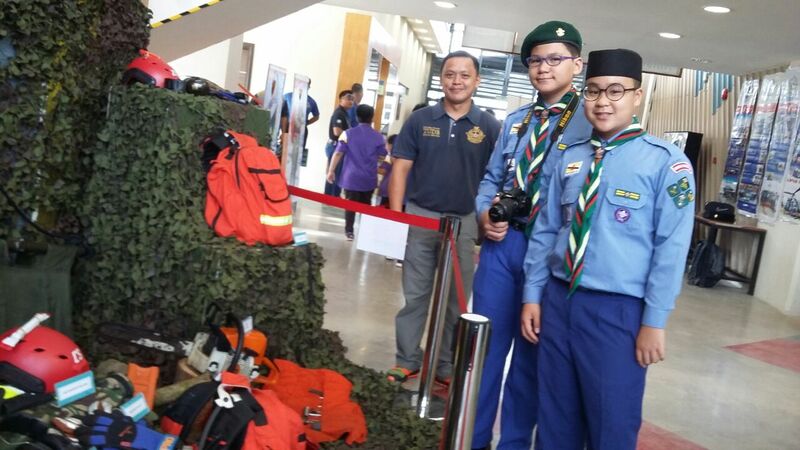 Upon the permission of the principal, the troop was given a corner for displays and sign up for a whole week. 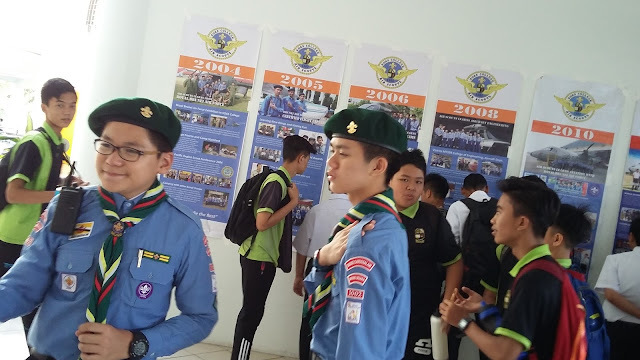 Even with this small time frame, the patrol leaders who were the key persons for the campaign did a good job of explaining activities and signed up more than 20 keen students. The next phase is to initiate a introductory activity and Scout Association registration procedures. Everyone had load of fun in 2015. It was months of active participation, discovery and fun learning. 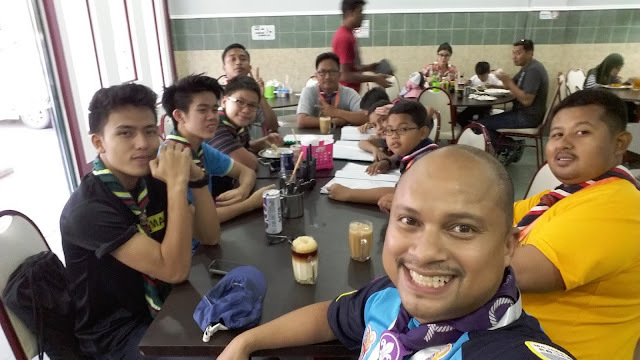 With the blessings of our new principal, we look forward to 2016, with new activities that will be lead by senior members.